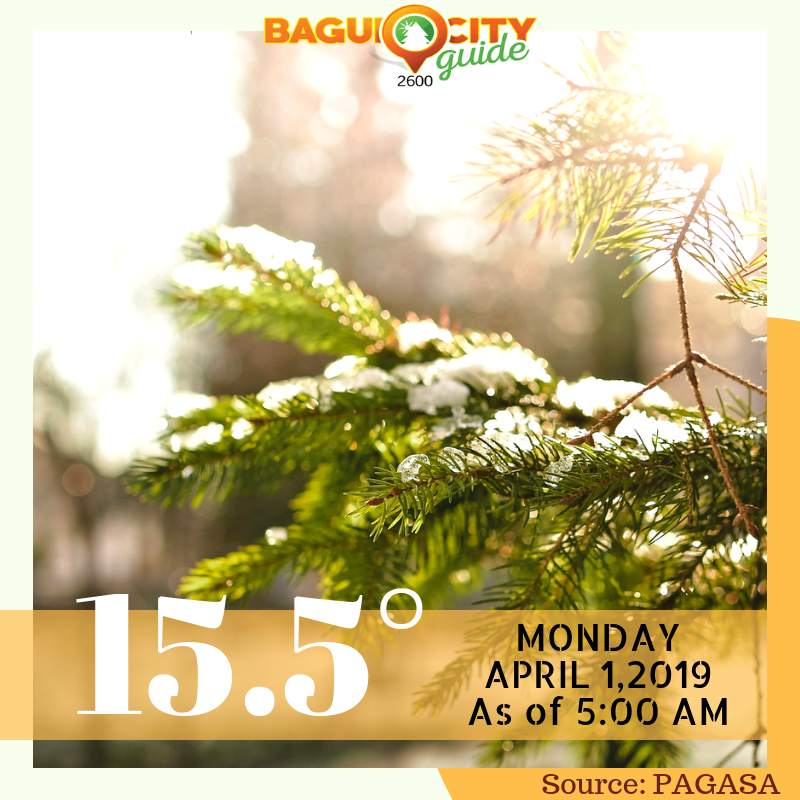 Baguio residents and tourists were met by a very cold weather in Baguio City today. After checking the hypothetical thermometer we have determined the temperature to be at -1°C. The cold weather was hypothetically enjoyed by residents and tourists alike. Mark this day April 1, 2019 as the day that today’s weather report fooled all of us. Baguio City will experience light rains. Light to moderate winds blowing from the Northeast.